Although Motorola announced the DROID BIONIC in April, the handset hasn’t launched yet because Motorola wanted to make certain changes to the device. 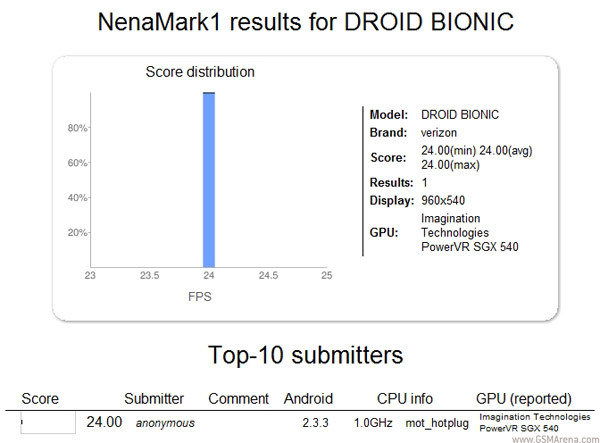 However, an image uploaded on Swedish mobile benchmarking site NenaMark suggests that the changes are quite dramatic. 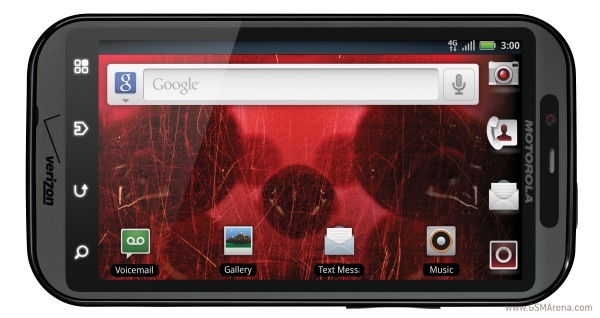 Initially, the DROID BIONIC was reported to run on an Nvidia Tegra 2 chipset. But the image below tells us that it is now running on a TI OMAP based SoC. The GPU is mentioned as the PowerVR SGX 540 along with a 1GHz CPU, which means the SoC is most probably the OMAP4430, same as the one powering the BlackBerry PlayBook and the upcoming LG Optimus 3D. As can also seen from the benchmark, the device is running Android 2.3.3 Gingerbread whereas when Motorola initially announced the device it was running Froyo. Of course, you should take the hardware changes with a pinch of salt. It could happen that the final version is still running on Tegra 2. The upgrade to Gingerbread, however, seems far more likely.